Stunning stone and stucco home with cedar shake roof. 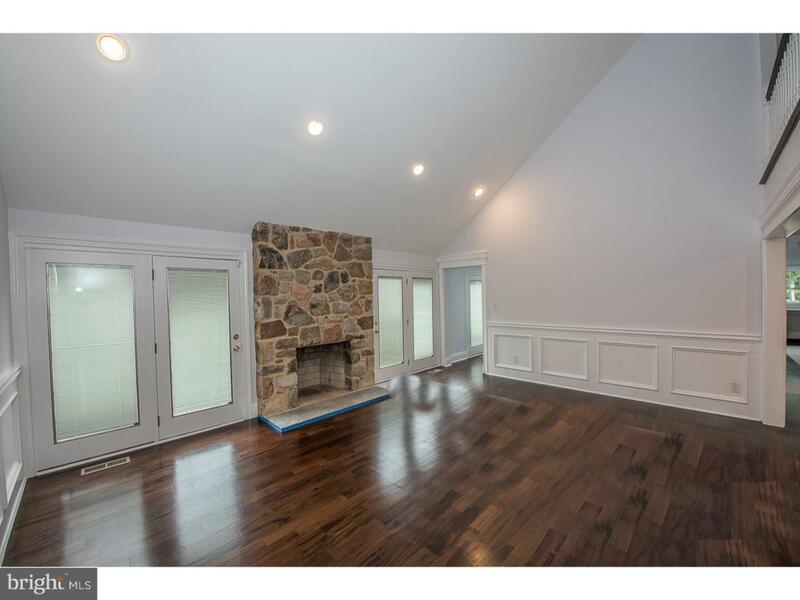 Newly landscaped and COMPLETELY remodeled in the desirable Gladwyne neighborhood. Enter down stone steps and a flagstone walkway to the copper-roofed entry with columns. Front entry is a two-story center hall foyer with a catwalk/balcony to look down from the second level. New hardwood floors throughout with wainscoting in the living room, dining room, and foyer, and multiple glass doors that lead to the large deck with gazebo overlooking the spacious fenced-in yard and pool. Two stone fireplaces on the main floor. Brand new kitchen in all white with new stainless-steel Jenn-Air appliances, including 2 ovens, gas cooktop, built-in microwave, dishwasher and refrigerator. Quartz countertops and modern subway tile backsplash. Access to 2-car garage, mud room area, and the first of 2 laundry rooms accessible from the kitchen area. First floor master with luxurious high-end new marble bath with oversized shower and soaking tub, two-sink vanity, and separate toilet area. Two master walk-in closets, plus an additional third closet. Second floor has 3 bedrooms, one with its own brand-new full bathroom attached, the other two sharing a new full Jack and Jill bathroom. Everything in this home is fresh and newly painted! 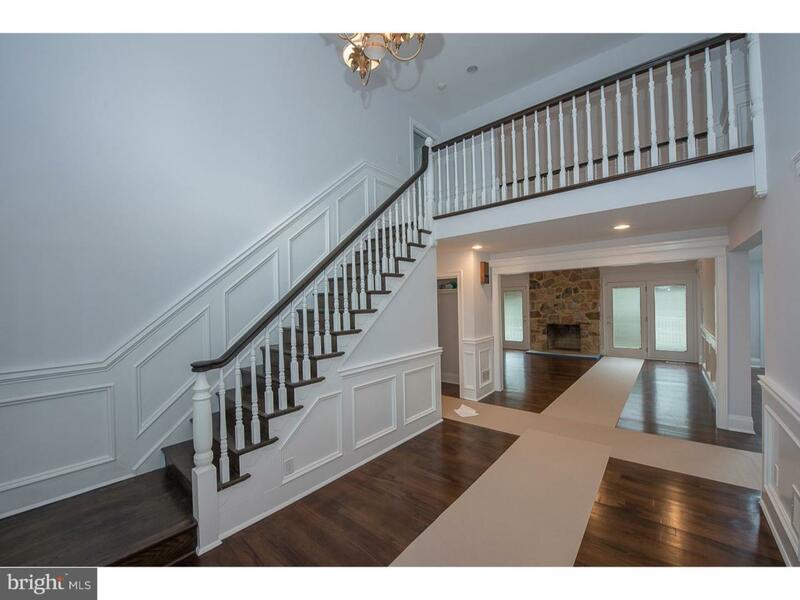 Lower level has handsome new billiards room with wood floor. Step down to the tile-floored entertainment room that leads outside to the Jacuzzi, back yard, and pool. Lower level also has another bedroom with a walk-in closet and a brand-new full bathroom with double vanity and a tub. A second laundry room, plus space for an office, den, or exercise area as well! Pictures coming soon. 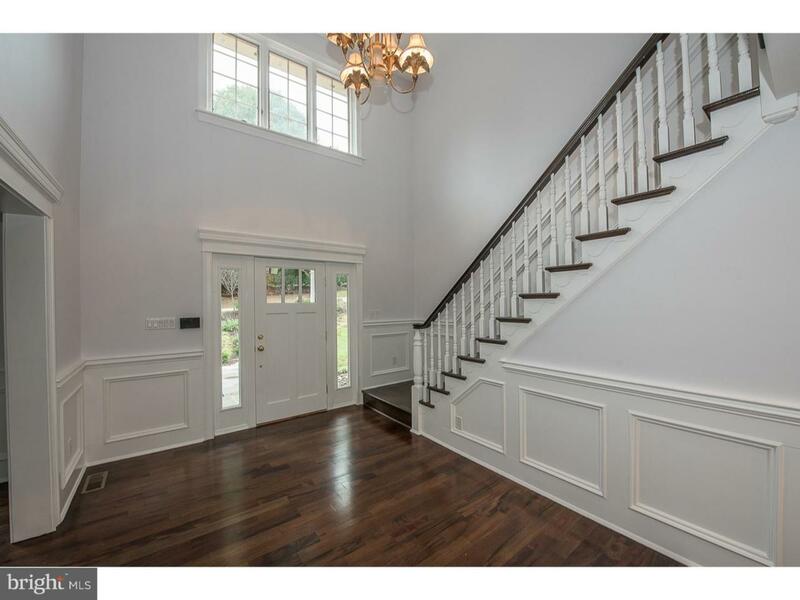 You do not want to miss this spectacular Main Line home.